International Enterprise (IE) Singapore signed two Memoranda of Understanding (MOUs) with Chinese tech partners last week to help more Singapore companies gain access to the market and its innovation ecosystem. China is an important end market, as well as partner and source of tech for Singapore companies. The partnerships with AIRMaker (accelerator), NTUitive (enterprise arm of Nanyang Technological University) and 36Kr (top Chinese media platform) aim to provide support through accelerator programmes customised to help tech companies understand the market, test-bed their products, as well as partner with Chinese companies to implement solutions. 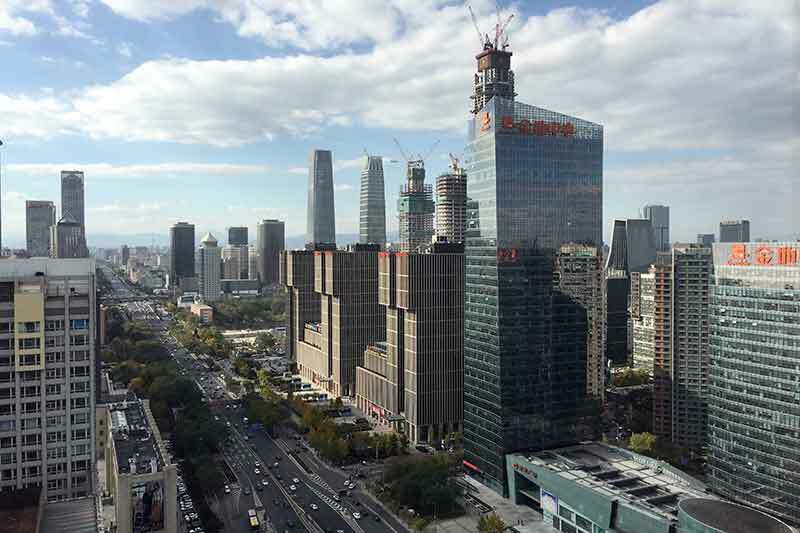 AIRmaker, which is co-owned by Ascendas-Singbridge, SG Innovate, Shenzhen POE Runyang Group and Beijing SOE CMEC, is an accelerator focused on Internet-of-Things (IoT), healthcare and AI. It will coordinate and conduct market access programmes to connect Singapore deeptech and medtech companies to the ecosystem in China. They will provide resources such as co-working spaces, market network, support and training to facilitate growth and expansion in Beijing and other parts of China. The first run of the programme will benefit 8-10 companies working on AI solutions. IE Singapore and AIRmaker will also work with NTUitive to bring its research innovations on board. 36Kr is China’s top tech blog that spun off into a media, co-working space and a venture fundraising and financial services company. 36Kr has aggregated over 82,000 start-ups on its platform, helped over 2,000 start-ups raise venture funding and has a network of over 30 co-working spaces across China. It will work with IE Singapore to provide Singapore tech start-ups with curated accelerator programmes, networks and opportunities to connect to in-market mentors, investors and partners to facilitate growth, or as a source for new technology partnerships in China. This partnership will benefit a wide array of start-ups ranging from consumer to medtech. Mr. Yew Sung Pei, Assistant CEO, IE Singapore said, "China has always been a market of interest to our Singapore companies, not only because of its sheer size, but because of the innovativeness and entrepreneurial spirit of the domestic market. Through our partnerships with AIRmaker, NTUitive and 36Kr, we hope to ease market access for our tech companies, connect them to the right networks and partners to learn from bigger players. This will eventually grow a stronger pool of Singapore tech companies and build our local tech sector." "NTUitive’s partnership with IE Singapore and AIRmaker establishes a launchpad to the Chinese market for Singapore start-ups. Our own experience has shown us that the presence of strong local partners in foreign markets is very often the critical determinant of success for small start-ups venturing overseas. These partners provide local knowledge and connections that can significantly shorten time to market for new products and services. We are thrilled to have both IE Singapore and AIRmaker as our partners," said Dr. Lim Jui, CEO of NTUitive. "China is a market that holds significant potential for companies of all sizes. We believe that start-ups are able to succeed in this market through differentiation and connections to the right partners and resources. AIRmaker will use its Shenzhen and, now, Beijing launch pads for start-ups to navigate the Chinese market," says Mr. Lee Kwai Seng, General Manager of AIRmaker. "In recent years, China&apos;s technology and business model innovation are making an ever more important contribution in the global economy as many unicorns spring up. As China&apos;s largest tech innovation service platform, 36Kr hopes to build a bridge between Singapore and China with the aim to drive global innovation. Singapore tech start-ups looking to make their mark in China can take advantage of 36Kr’s connections with inmarket mentors, investors, working space and other related services," said Mr. Feng Dagang, President of 36Kr. The MOU signings in Beijing are part of IE Singapore’s continued efforts to help Singapore companies access key tech markets and source for innovative tech. Last month, IE Singapore inked two MOUs with C asean and HUBBA – key innovation and tech eco-systems builders in Thailand – to provide Singapore tech companies with access to an in-market immersion programme and co-working spaces in Bangkok. On August 21 2017, International Enterprise (IE) Singapore and Ascendas-Singbridge launched the Singapore Manufacturing Innovation Centre (SMIC) in Guangzhou, a one-stop shop to facilitate partnerships between Singapore Industry 4.0 technology solutions providers and Chinese enterprises looking to adopt such solutions. It was recently announced that SPRING Singapore and IE Singapore, both statutory boards under the Ministry of Trade and Industry, would be merged to form a new government agency called Enterprise Singapore. The merger is set to happen in the second quarter of 2018.